Two hooded figures emerge from a crypt, heavily laden with pilfered treasures. The moonlight filters through the trees, exposing the nefarious pair. As an alarm sounds, the pair brandish their Grave Robber Swords to cut their way free. 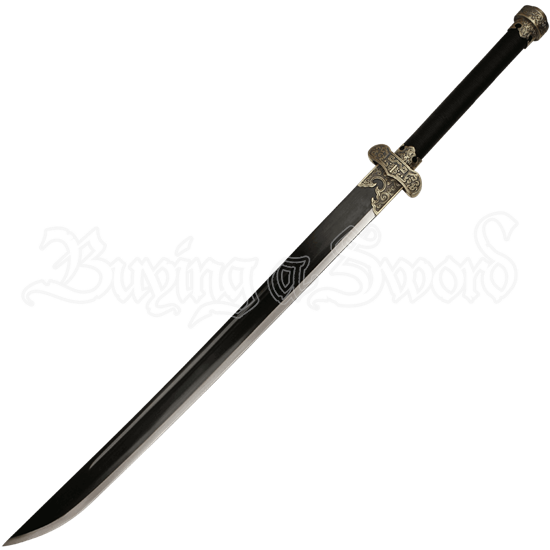 Made from quality steel, the black saber blade has a fuller. The guard and pommel feature intricate knotwork designs with an antiqued finish. The handle has been wrapped with black cord comfort and stealth and is long enough to accommodate one- or two-handed grips. The matte black finish on the scabbard showcases the antiqued accents. This decorative saber is an elegant choice for any clandestine operation. 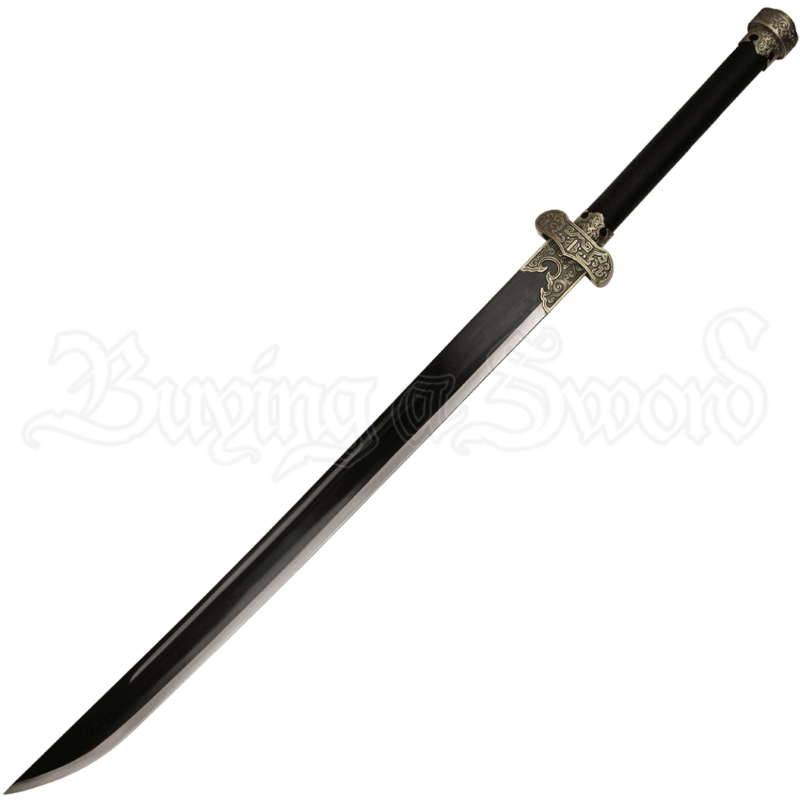 The Grave Robber sword makes an excellent gift for a cosplay enthusiast or collector.